We all dread the day we have to take our Christmas decorations down. Not only is it hard work but its also disheartening to see all the Christmas lights and decorations disappear for another year. Having the right equipment is important to packing your Christmas decorations away smoothly. Make sure you have everything you will need before you even start packing decorations away. There are many options out there that are specifically designed for storing Christmas decorations. If you don’t have the money to buy these storage solutions you can always use everyday boxes and containers. Egg boxes are also a great solution to storing ornaments. Tissue paper is also a must have to keep decorations and ornaments safe over the next year in storage. In the space of a year, you can completely forget what decorations you have and where they all went in the house. 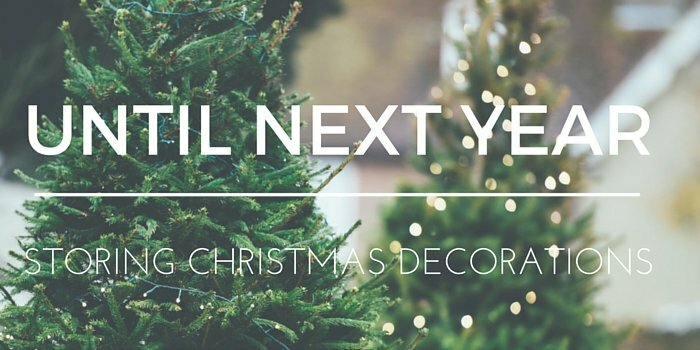 Sorting your ornaments into groups will make it easier next year when decorating your home. You can create groups depending on what room they came from or small areas of your house. You could also group similar items together. When packing away ornaments it is important to keep them protected. Tissue paper is a good method of stopping other ornaments scratching each other. If your ornaments are fragile then you can always use bubble wrap. Strings of beads are notorious at getting tangled. A good trick to stop this from happening is to zigzag the beads into a plastic bag. Once you get to the end, tape it to the side of the plastic bag. This way you will be able find the end plus they string of beads won’t get tangled. To keep your lights from tangling up, wrap them around your arm and tie the loops with either tape or wire. Alternately you can wrap the lights around pieces of cardboard. Both of these methods will stop the lights from getting tangled over the next year. Whether you are storing your Christmas decorations in your loft at home, or in self storage rooms, it is important to label your boxes. This will make life a million times easier next year when you begin to decorate your home.